Chosen. Would you want your family to be??? Only 200 families in the whole world. Must have between 3-6 members, can’t be serving time, can’t have a terminal illness, must be in decent shape, must have at least one boy and one girl, must be of your blood… What are we all applying for??? Competing in the trials, only 50 families get a slot, everyone on the planet watching us hungrily, how can we choose the right path when we never know what’s next, will my family survive these Islands, who are the real bad guys in this… WHAT IS THIS ALL TRULY FOR??? the door between us forever. Kira was born on ARC 73. She’d never seen a sunset, never felt the wind blowing through her hair, never swam in the ocean. That was until her 22nd year. When Kira turned 22, three things happened. The first was blowing out her candles on the cake that wasn’t really cake. The second was her husband being stabbed by a space-sick crew member on his way back to the party. The third, was that ARC 8 had found a habitable planet. "The truth can be weathered, eroded; it’s every shade of grey that lives in the mist; it’s sunrise and sunset and everything in between. . ."
Kass is a goat-farmer who dreams of escaping his hopeless village. Sammi is an outcast, determined to save her sister, slowly dying of the toxin-sickness. And Rai is a privileged drone-racer who works hard, and parties harder. One cracks the earth. One weaves the wind. And one dances with water. They have never met - but together, they are The Elementalists: weapons created by the resistance to overthrow the dictatorship of their toxic world. Life-changing events rip the trio from their homes, from their lives, and the resistance sends them on a perilous quest: to destroy three mysterious ‘capsules’ that hold the dictatorship together. But in the face of so many lies, twists and betrayals, Kass, Sammi and Rai - the most dangerous weapons on Tellus - must make tough choices. About who to save. . . and who to destroy. In an alternate reality, an Iroquois scientist and her twin gay sons battle shapeshifting aliens. Telius wants to marry the man he loves. Argen struggles with the residual effects of a deadly drug addiction. Both twins help their mother face Valchondria’s greatest threats. Taldra accepted the title of Leader for Valchondria’s one-world government. Maintainer Admiral Nil blames her for a series of tragedies and might be as dangerous as the changelings that want to feed on humanity. An epic adventure, an unreliable narrator, an intense cast of characters. 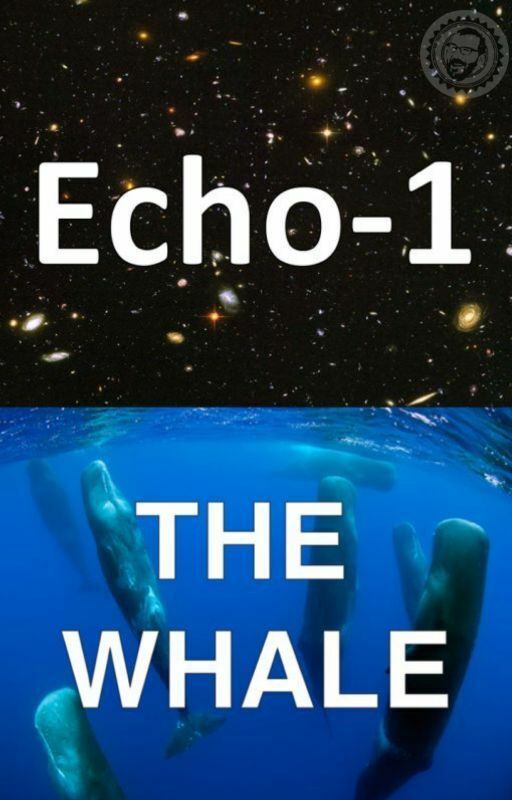 Follow a digital subroutine from a 21st century Earth VR simulation that uploads himself into an advanced synthetic body, yet still identifies as human, when he wakes up on a gargantuan space freighter piloted by a 100-year-old sperm whale named Jonas, who offers him a job he can’t refuse. There are monkey eating lizard men, diamond scout ships, galactic witch cults with hordes of genetically altered space wolves, a naked tattooed female stunt bike rider, puppies, a gang of reincarnated save-the-whalers, an Israeli spy general, Inuits from the 1800s, hulk bodied Zero-G commandos, rainbow squid, indestructible rust robots, an aging biologist trapped in a young girl’s body, secret oceans in the storage decks, technology-hating narwhals, acid guns, giant wasps, red lightning electric samurai swords, Ursa Minor Gnomes, a nebula belching wormhole, and of course, sperm whales: social big brained computer geniuses and the best starship pilots in the galaxy. Rivalry and jealousy between Humans and Warlocks 6,000 years ago caused a Great Cataclysm that forced both races out into the galaxy to carve out new civilizations on distant worlds. The two sister races took with them their animosity, hatreds, discriminations and jealousies. Their diaspora left behind a devastated, destroyed area of space: The Well. Now, their ancient rivalries have resurfaced in a plot to bring down a drug-addled Emperor and complete the genocide of the Warlocks begun millennia ago. It falls to a single Warlock and the Empire’s most prolific Warlock killer to find a way to stop the plot that could unravel the very fabric of Creation itself. Can the magic of the Warlocks and the technology of the Humans come together to save their universe? Great picture for your cover. What explosive discoveries were made by an eccentric desert collector who chose to hide his phenomenal secrets for over thirty years? Blake Henderson inherited more than just a key to a remote storage garage in Farmington, New Mexico. When his estranged and recluse father died, few useless belongings were handed down to him. But none were so mysterious as the contents of sealed wooden boxes boxes and the contents found in the freezer compartment of an inoperative refrigerator—all seemingly forgotten and under lock and key for decades. The Pueblo Native Americans, just to the east of these territories, had a massive and advanced civilization long before the Spanish invaded their ancestral lands in the 16th century. But why did these indigenous people inexplicably disappear? And How? What event gave them cause to firstly relocate their homes and lives safely under the monolithic cliffs at Canyon de Chelly-out of sight from the heavens? The heat in my shoulders intensified. I could feel the inside of my body heating up almost to a burning feeling. I wanted to scream. I wanted the pain to stop. The heat centered on my shoulder blades, turning into needles pushing outward. With a searing tear, the heat erupted from my body. The chair that I was sitting on splintered beneath me. My shirt tore. I was being pulled backward by weight coming from my shoulders. I fell. I landed on my back but not on my back. I reached a hand back to feel. There were things sticking out of my shoulder. Hard, soft. Were those feathers? Wait, what? I looked up to see Aunt Gina and Derek looking at me with shocked expressions. They were both looking at me with their mouths half open, bewilderment in their eyes. “Um, a little help would be nice,” I croaked. When did my throat dry up? Derek stood up and carefully pulled the broken chair pieces away from me. He stood over me, gripped my shoulders, and pulled me up. He set me on my feet and tentatively let go. I started to fall backwards again but, he grabbed me once again. I looked up into his face. I could see my reflection in his eyes. Were those wings? Based in a parallel dimension where certain things in human history played out differently than our timeline resulting in completely different earth with different ideas of the what life is. While on a dangerous mission to Titan (Saturn’s largest terraformed moon), Marcus leads an elite team of mercenaries deep into enemy territory. But when a series of events causes the mission to go south, they soon find themselves in the crosshairs of Saber Team, an elite Black Ops unit led by the cunning career soldier: Lieutenant Donald Shepard, who had been hot on their trail for years. ENTER THE WAR, IF YOU DARE. Thrown into a war he never suspected. He grew up surrounded by love and adoration. Len thought he had the world at his feet, until his mother’s tragic death. Years later, as soldier and an officer of the law, his morals are tested, as he seeks the truth of his heritage, when everything he once knew changes. He was born a weapon to be feared. An orphaned woman cursed with the demonic power of her clan and blessed with the purifying fire bestowed by her father. Gothalia walks the world alone and a little reckless. As an Excelian Centurion, her duties are clear: ensure the survival of her people even at the cost of Humanity. What happens when humans, aren’t the threat she’s been taught to fear? A conspiracy that’ll have her fighting for her life. She was born a monster to be hated. It’s this once peaceful city of Darwin that erupts into a deadly war, forcing many to flee, leaving their homes in search of asylum. Noel-Len Ignatius must fight in a war that will ultimately kill him while Gothalia Valdis must uncover the conspiracy that kept her docile to the truth. It’s a war that will reveal the hidden existence of Excelians: exceptional super-humans with terrifying powers and the powerful ancient relic Midnight Eclipse and its connection Noel-Len’s long forgotten past. The first time it happened was when I was 14, it was midnight and I was walking home from a friends house. The streets were empty, street lights flickering in harmony, light dark light dark. And then there he was, a tall man standing in my path, I continue my way around him and for a moment I felt safe. Not a second later a rough hand grabs my shoulder and pulls me back, his eyes were bloodshot, he looked like he was high, his actions were faded almost no energy in his body but his grip was strong and only grew stronger when he pushed me to a wall and pulled out a knife, that’s when it happened. I woke up to the sun rays stabbing my eyes, I sat up and looked around with my sleepy eyes and saw that I was in an alleyway only then I realized the corpse laying right beside me, his throat penetrated with his own knife. The strange thing was he was missing an eye. His skull had an empty hole where his right eye should have been. Year 3444: A fledgling colony funded by Lanston-Co, a multi trillion pound corporation from the United Interstellar Kingdom has set out to colonise the frontier world of PN-40A7823F - Arcadia. The colony headed by an idealistic young man - Adam, the youngest of the Lanston family will seek to settle into a new harmonious existence. Life on Arcadia is bountiful with everything thriving in a complex web of symbolism, the earth readily gives up its fruits and seeds for man to feast alongside the natural beast of the world. As man drives to bend Arcadia to its will as it has done countless times before on thousands of worlds, they will discover the hubris of their actions.